OBSTACLE RACE DEDICATED TO WOMEN! Mud, slides and a lot of FUN with your girlfriends. Join bring our squad at this muddy activity of the year! The program includes a course of less than 5KM with 17+ obstacles that are fun and do-able by all! It’s an experience you’ll never forget! 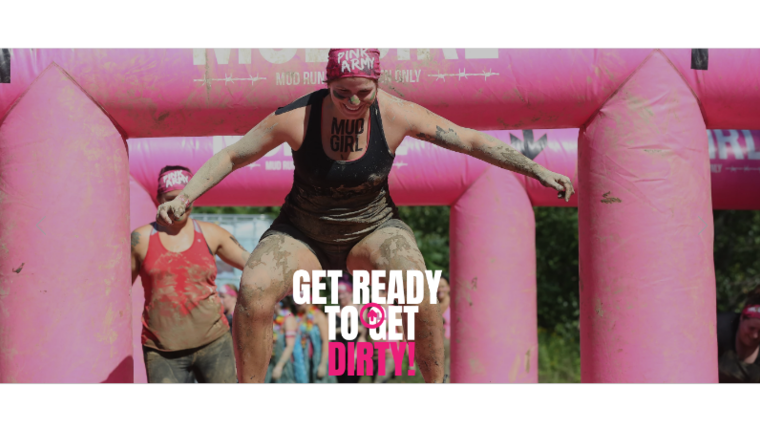 So #PinkArmy are you ready to get dirty at the MUDGIRL Run ? Ever wondered what a mud race is all about. We found one just for you. Join us on this obstacle race this summer. Experience the joy of trying something new and playing in the mud. There are 17+ accessible and fun obstacles on the race course and we are going to have a great time. Never Too Late Hockey is leading the charge on getting women together to participate in this event. Everyone is welcome to participate. Heather Morning our fearless coach will be leading the charge on the social part of this event! Book your tickets for the 9:15am race so we can all meet together at the link below. When registering, enter "NTL Hockey" in the Group Name field on the registration form. Please note in the comments if you'd like to join us on this fun adventure. Click on the Mud Girl Run link to see details about the obstacle race including what's included with registration and details on the obstacles.